Getting into a routine can be challenging at times for anyone, especially kids. They wake up sleepy and forgetful. Parents are busy with their own routine and can also forget to remind their kids of the things they should be doing. 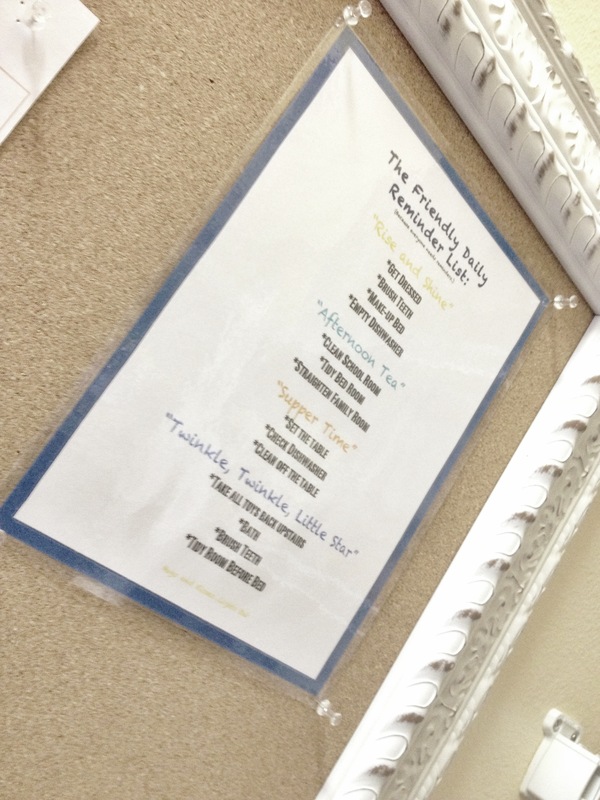 By pinning up a “Daily Reminder List”, I am able to take the stress off of myself and the kids. Now they can check the list instead of me asking them if they have done x, y, z. Are you wanting to set your family up for success? Then give them the tools to do so. Click this link,The Friendly Daily Reminder List, to see our list up close. You can revise it to fit your family’s needs. This entry was posted in Children, Homeschool, Organize, Parenting and tagged chores, daily schedule, kids, routine by fromthecommittedheart. Bookmark the permalink.